Power Pink bracelet set is the epitome of pretty in pink! 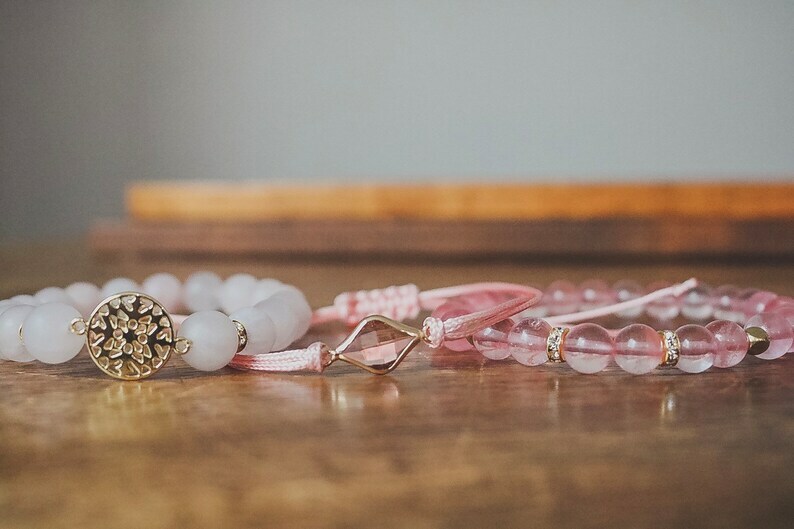 Each bracelet had its own take on style in a unique shade of soft pink. Why put the Power in this set? Well, that’s because there is power in celebrating your beauty! What you’ll love: the blush-like shades go amazingly well with the gold tone notes, especially with the pops of blinged-out shine! Where with your favorite Spring dress, or even a pair of jeans. With any look you’ll be feeling fully charged with fabulous feminine power!